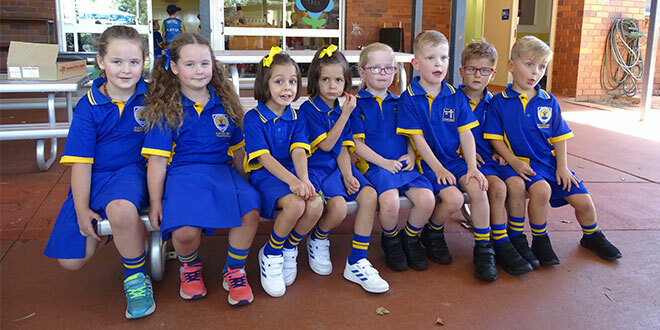 Year of twins: Mater Dei Primary School in Toowoomba has welcomed four sets of twins among its 75 Prep students this year. HUNDREDS of students across the Toowoomba diocese waved goodbye to their mums and dads to head off to school for the first time early this year. One of Toowoomba’s Catholic schools – Mater Dei Primary School – witnessed this in a special way. It welcomed four sets of twins among its 75 Prep students. Mater Dei principal Chris Bartlett said he wasn’t sure of the odds of such an occurrence, but in 26 years of teaching, he had never known of so many sets in one year level. The twins will be spread across three Prep classes. “I think the toughest part is for the teachers in working out how to tell the twins apart,” Mr Bartlett said. The twins were excited to call into school early to meet their teachers, and each other. Toowoomba Catholic Schools will educate almost 9000 students in 2018.